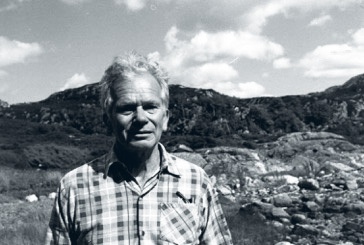 Peter Hjelmervik was born in Norway 1910. Before the war he worked as a sailor and wireless operator in Haugesund. In April 1940 he volunteered for military service and was stationed at Valdres where the heaviest fighting in southern Norway took place. 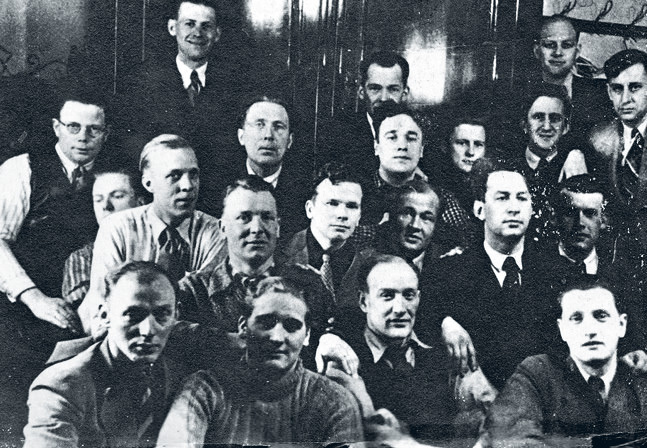 Peter joined the illegal Haugesund group, who were the first major resistance group in Norway. They operated under the code-name ‘Hardware’. 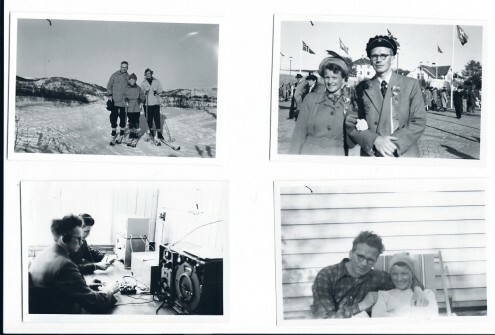 Peter worked for the group as a radio operator sending telegrams to England. 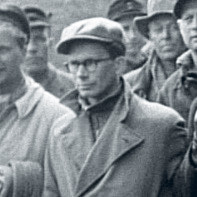 The group was betrayed by a Norwegian infiltrator and around 10 of them were sentenced to death by the German military court for spying, including Peter Hjelmervik. However, Sven Hedin (famous Swedish explorer who had good relations with Nazi Germany) successfully appealed to Hitler via via Colonel General Nikolaus von Falkenhorst, and their death penalty was converted to 10 years of imprisonment and forced labour. In 1941 Peter was deported to Germany where he spent 4 years at the Fuhlsbüttel concentration camp outside Hamburg, during which time Hamburg was bombed by the allies. The prisoners were locked out during the bombings so that they would not be trapped if the camp was hit. They helped rescue German civilians from the rubble before being locked in again. Peter was moved to Neuengamme camp the other side of Hamburg. The prisoners were put in cells in threes because the Germans were afraid of homosexual relations. Peter’s son Egil recalls how his father described the poor food which they were given; mostly potatoes and cabbage and often rotten. They received Red Cross packages from Denmark with fish liver oil amongst other things; “he told us that the taste was so good they would try and keep it in their mouths for as long as possible before swallowing”. 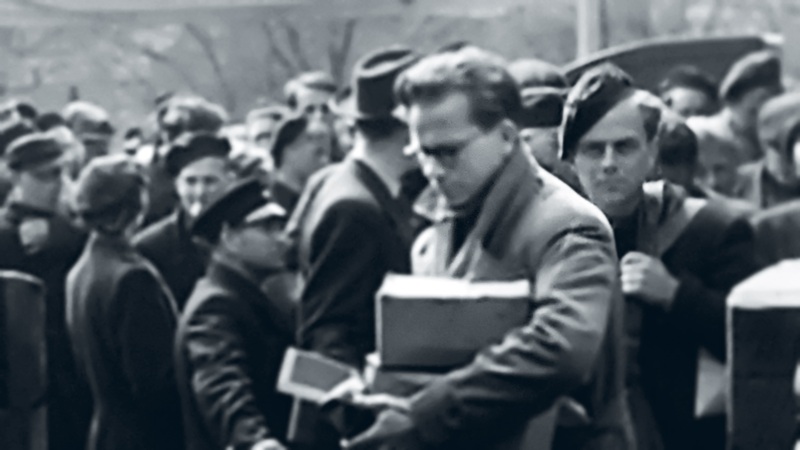 Peter came to Malmö in 1945 with the White Buses. He returned to Norway soon after and married Tora Tangeraas in 1948, the couple had a son, Egil, in 1952. 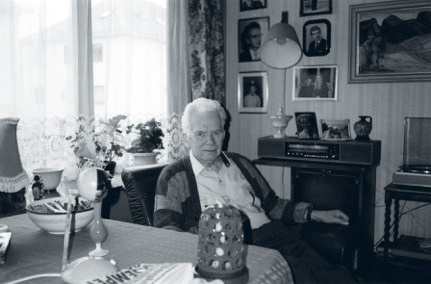 Peter worked as a teacher of radio technique and telegraphy for the navy in Haguesund and Bödo until his retirement and died in 1999 aged 89. If you can help us with further information about Peter Hjelmervik we will be very happy to hear from you. Please write an email to our researcher Sebastian.